SF Bay Area Private Classes and Workshops coming up soon. Please check back for dates and times. 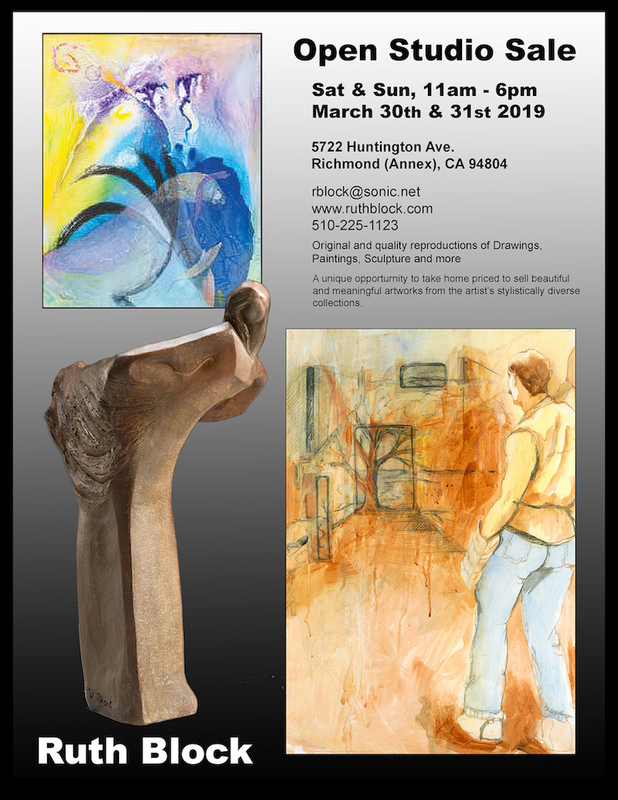 Original and quality reproductions of Drawings, Paintings, Sculpture and more.A unique opportunity to take home priced to sell beautiful and meaningful artworks from the artist's stylistically diverse collection. Check back periodically for new shows, events, classes and workshops with Ruth Block.